Round one of the search below yielded a couple of handfuls of consolation prize “skin” and a couple of dandy dorado. No sign of the big boys yet. In flat calm seas the search will continue tomorrow. “No one said it was going to be easy”. And they were right. Our band of big tuna anglers is solid in their resolve to complete this voyage with every possible zone checked and/or checked off the list, as are we. Still secure with our catch of beautiful Isla Guadalupe yellowfin resting in the RSW tanks we have the insurance policy to back the effort. 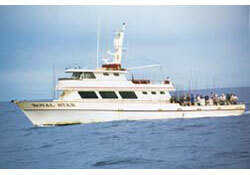 While it would be nice to mix in a little catching (dorado, wahoo, a few more tuna, etc.) this is one of those times when a big play is needed to earn big rewards. We are all in. 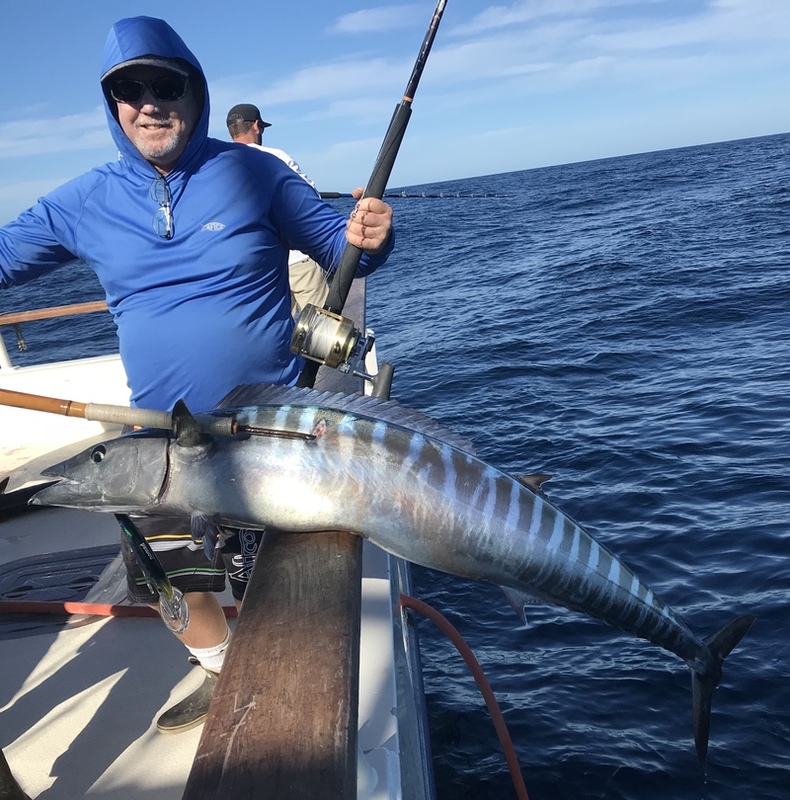 Speaking of all in the tuna at Guadalupe continue on a rampage with the fishing out there getting even better after we departed and the wind storm died down. There is serious volume of fish there and it is biting. I spoke with Tracy yesterday and she informed me that there are six spots still available on the upcoming seven day December 12th - 19th that will be fishing the island. 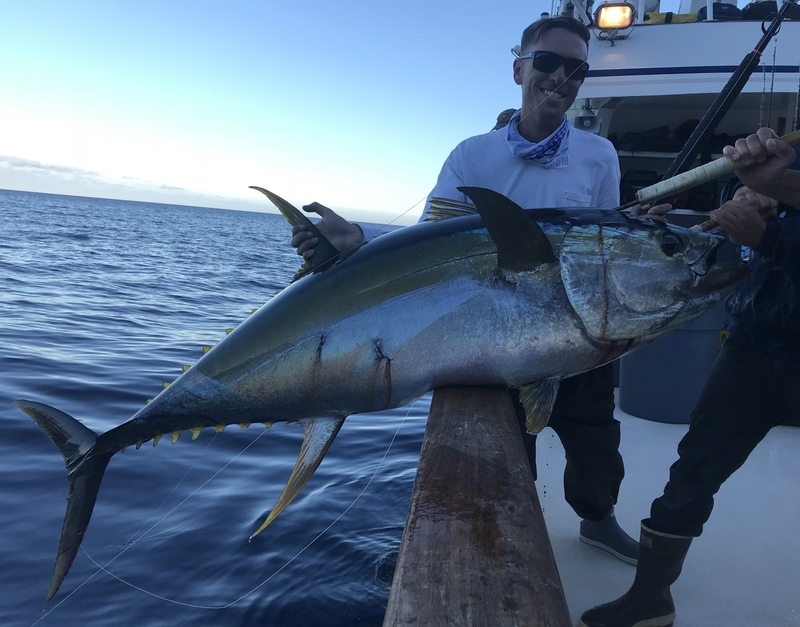 If you haven’t had a shot at those Guadalupe yellowfin this season, or need one last fix in 2018, this is an ideal opportunity. Photo today is an image from the archives as my trigger finger was a little too slow during our wahoo action. 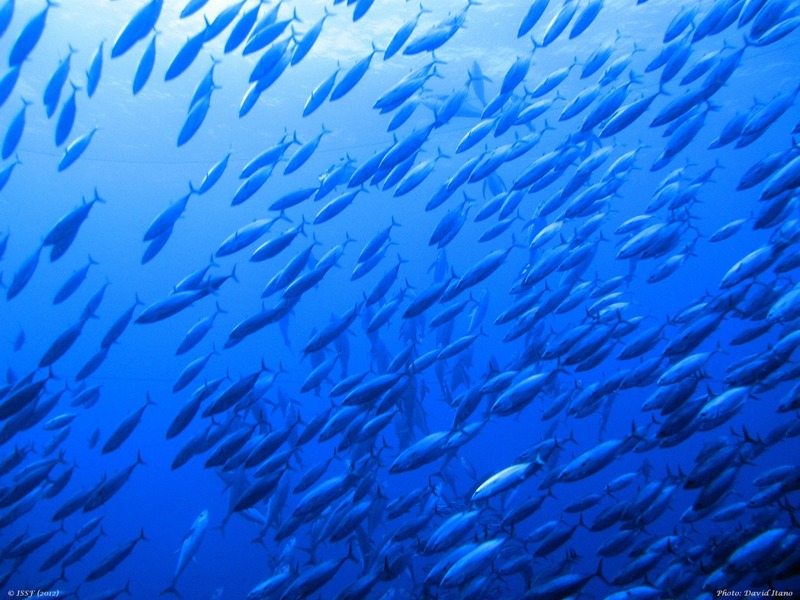 Courtesy of David Itano and ISSF enjoy the view from low to high as skipjack and yellowfin tuna mingle before doom.